From dancing with cheerleaders to trolling fans for All-Star votes, there's nothing Joel Embiid didn't do this week. The Process did the impossible, following up one of the greatest weeks in NBA social media history with another dominating performance. He used a cold take about him being a bust to get votes for the All-Star Game. Joel Embiid is about the coolest NBA bust that you will ever follow on Twitter. He totally owned Mia Khalifa. He even got a vote from The Game! Then he DANCED after a win. …and congratulated T.J. McConnell on his game-winner by setting his Instagram location to “Shirley Temple.” Of course, he also sneak-dissed the Knicks. We might have to re-name these rankings after "The Process". 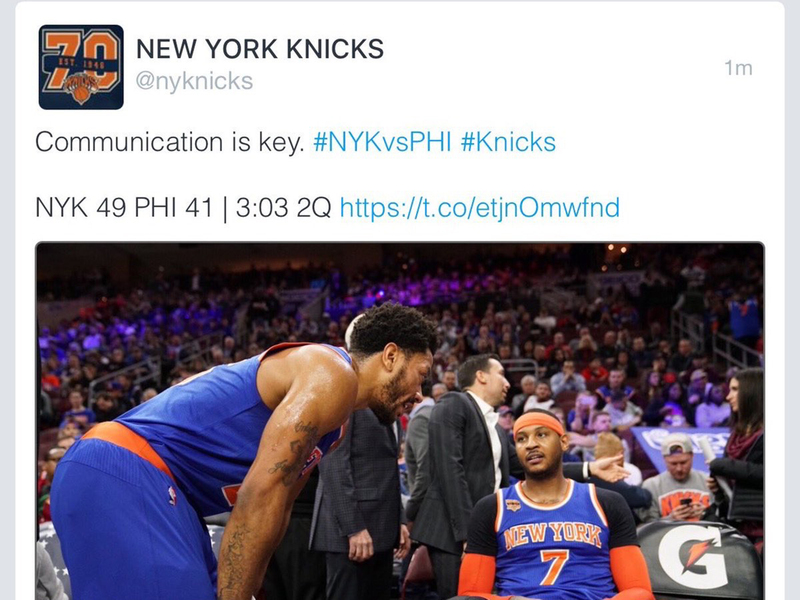 Who knew the Knicks had a sense of humor? After Derrick Rose went AWOL, they fired off two incredible tweets. The PR staff’s worst nightmare, sure, but a heroic act for the rest of mankind. This one broke the Internet. For weeks, the Lakers center has been sending out Instagram photos of Jordan Clarkson’s pants. It’s one of the best things the NBA social scene has going right now. 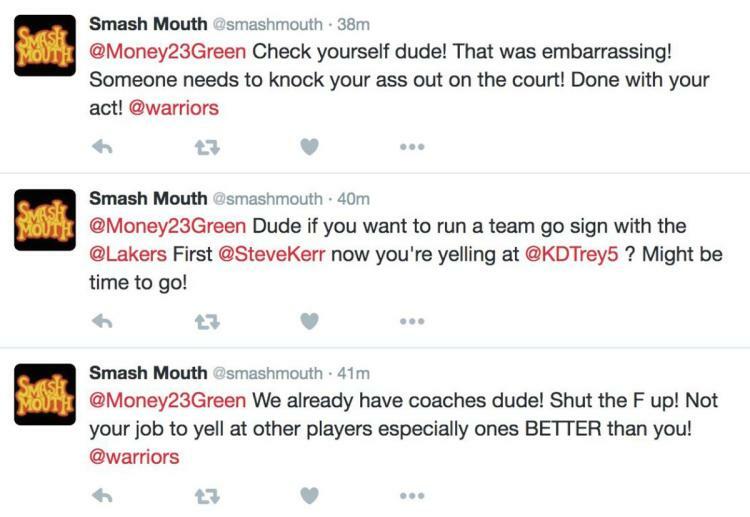 Look, calling Warriors fans “bandwagon fans” has become pretty common these days. We’re oversaturated with these disses. It seems like every team has a “bandwagon fan” cam. So what do the Kings do? They innovate, like always. They come up with fire content on one of the best social accounts in the game right now. Must have looped this 72 times over the past few days. I shed real tears watching this. Hey now, he’s an All-Star. This take’s so hot, it’s like you’re walking on the sun. Look, at first I wasn’t sure about Draymond’s candidacy. Now, I’m a believer. Bats must love a winning culture. We’ll miss you, Red Mamba.